An extensively decayed tooth can sometimes be beyond repair with a filling or other dental restorations. “We’ll remove the tooth if we anticipate the success rate of restorative treatment to be poor,” explains Dr Chong. These teeth may already be badly infected or abscessed and often have caused severe pain. Sometimes this infection can even become dangerous if left untreated. This has to be kept in mind when deciding whether to place a filling or to extract the tooth. If there’s not enough tooth remaining, a long-term quality filling is not possible and the tooth usually ends up requiring multiple repairs over time. If a questionable baby tooth won’t last many years before being replaced by the adult tooth, then removal can be justified. We don’t want children coming to us for multiple repairs over time, so we choose the best options first to serve the child well. We also consider the compliance of the child receiving the treatment. There’s no point fixing a tooth if it leaves a patient fearful and scared for their next appointment. Is it a baby tooth? We’re very mindful of a bad baby tooth affecting the developing adult tooth. Infection of a baby tooth can affect the permanent tooth in its colour, shape, and the direction and timing of its eruption or when it comes through. If a baby tooth falls out completely in an accident, we don’t replace it because the risk of complications afterwards is too common. Is it an adult tooth? In this case, we’re focused on doing everything we can to save it. Very rarely do we take out an adult tooth. If it’s necessary, then we include our team of specialists in the decision-making process, as this will have long-term effects on the growth and psychological well-being of the patient. What type of knock is it? There’s an escalating range of severity that determines the survival rate of the tooth. A tooth can be knocked and not displaced; displaced; or pushed inwards, sideways, out or even completely out. The more significant the injury, the more complex the treatment and follow up will be. What is the direction of the tooth that’s been pushed? Is it interfering with the child’s bite? Can the patient eat and function properly? How many teeth are affected? Is there any additional trauma? This might include broken facial bones, lacerations, or the presence of foreign objects like dirt and rocks lodged in the lips. These help us diagnose the extent of the injury, but we’re mindful of the effect of X-rays on growing bodies, so we carefully consider the technique, type and number of X-rays taken to minimise radiation exposure. Trauma and injury advice: read more about dental first-aid information from The Paediatric Dental Practice. As part of a child’s planned treatment, a paediatric dentist might sometimes elect to, or be asked by an orthodontist, to remove some teeth. In some cases, a very crowded mouth may require one or some teeth to be removed. A tooth that doesn’t erupt or come through by itself may be impacted. If the orthodontist can’t rectify the situation, then we may be asked to help remove it. Impacted teeth can occur in many areas of the mouth and may be diagnosed with an X-ray or even in a routine check if that tooth appears to be missing. These are quite common in the baby and adult dentition, and can cause issues with crowding, cosmetics and eruption. There can be one – or sometimes many more – extra teeth in a person. This is when a tooth can erupt in an unexpected position and can sometimes swap its eruption position with the tooth in front or behind it. This is called tooth transposition. WHY REMOVE BABY TEETH WHEN THEY FALL OUT ANYWAY? “Eight of the baby molars are replaced between 10 and 12 years of age, and it’s these teeth which are commonly decayed. 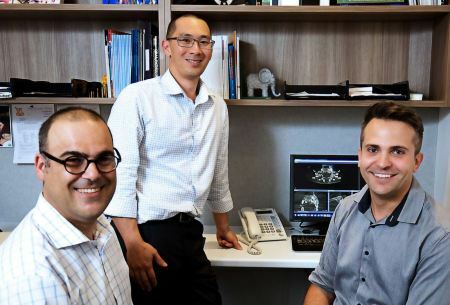 If the patient is younger, we don’t wait for them to fall out because decay progresses quickly, which can lead to pain and infection in a short period of time,” says Dr Chong. If these are infected, there’s a risk that the infection can damage the developing adult tooth beneath. By leaving a decayed or infected tooth in the mouth, you’re also leaving bacteria to spread to other teeth, which has a snowball effect on the child’s decay rates. Not all decayed or infected teeth can be fixed reliably, so they’re removed to achieve a successful and stable long-term outcome. WHAT ARE THE EFFECTS OF TOOTH REMOVAL IN BABY TEETH? The early removal of a baby tooth can cause unwanted tooth movement of the surrounding teeth. This can lead to orthodontic issues later, which can be treated with braces. Space maintainers are small metal appliances that can be placed immediately or soon after the removal in order to prevent this unwanted tooth movement. Removing multiple teeth can affect the way your child eats and speaks. Before removing any tooth or some teeth, careful consideration is required to avoid these issues. The removal of a front tooth will affect the appearance your child’s smile, however it should be noted that some children naturally lose their first tooth at four years, so after this age the loss isn’t as aesthetically significant. Simple extractions can be done ‘in the chair’ by our dental team using child-orientated behaviour management techniques. We also use very effective topical anaesthetic (local) and have ‘happy gas’ (relative analgesia) in our treatment rooms. 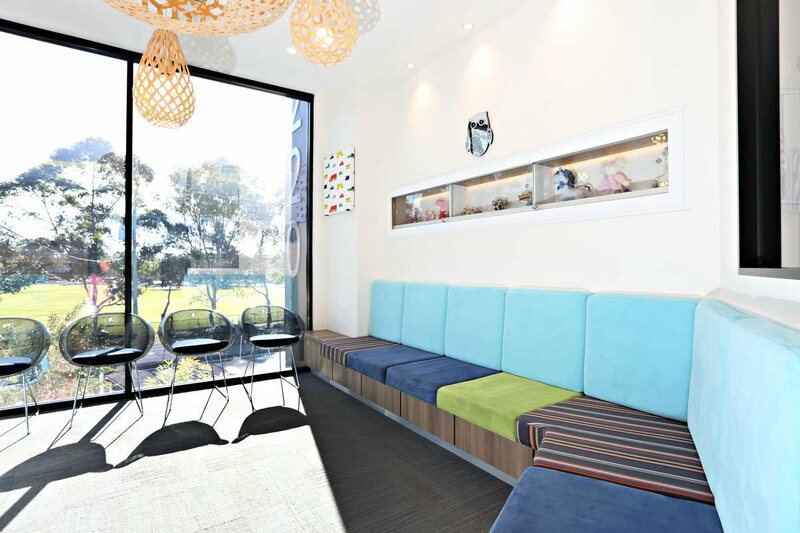 Multiple or complex tooth extractions, as well as extractions for very young patients, are usually treated by our dental team in day surgery at the Pindara Private Hospital or Gold Coast Private Hospital. How does the dentist decide whether to remove teeth in the chair or hospital? Find out what to expect, the risks and complications about child tooth extraction here. Unsure if your child needs a tooth out? Or has your little superhero had a dental accident? You don’t need a referral – just call us on 07 5597 2000 or book online.